A haven of peace where silence is interrupted only by the sound of galloping , it offers a full range of meticulously groomed slopes for a workout every day of the year. 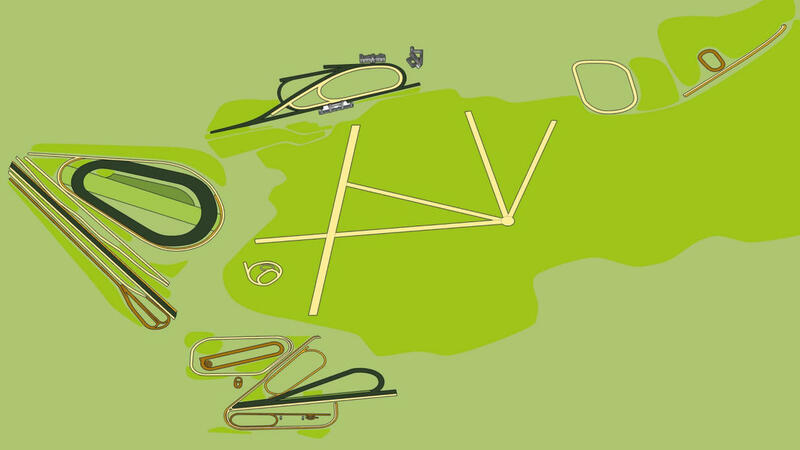 Les Aigles : In this large green area in the heart of the forest, a multitude of beautiful and lush green grass tracks are interspersed with sand tracks, fibre sand tracks, as well as hurdles and fences. On this truly unique piece of land, champions train and gallop in view of winning the world’s greatest races. Lamorlaye & Coye-La-Foret : This part of the training centre, which offers state of the art facilities, is particularly aimed at jump horses. Avilly Saint Leonard : lA fibre sand track (Activ Track) has recently been added to the Avilly Saint Léonard training centre, the smallest and also the most rural area of the Chantilly training centre, so that horses can work here all year round. Chantilly Racecourse : Against the backdrop of the forest, the Great Stables and the Chantilly Château, this is a remarkable place, as much as for its training facilities as for its internationally renowned races like the Prix du Jockey Club and the Prix de Diane Longines.